For over 20 years, Telmex has been restricted from the TV services. During last 6 years, this debate grew in importance, but the dilemma remains intact: Should Telmex be allowed to enter TV market? If so, under which conditions? During privatization, Telmex was granted with an “Amendment of Concession Title” setting special conditions to prevent monopolization of the legacy telecommunications market, some sort of asymmetric regulation for an uncontested market. In specific, Clause of 1.9 of Amendment, prevented Telmex from broadcasting free-to-air TV signals, directly or indirectly in Mexico. Yes, this was way back before convergence or internet took off, so the lock was fair enough considering that Telmex had an exclusivity time-window. This restriction did not included CATV. With the age of telecom convergence, Mexican Government issued a Decree, allowing telecom operators to provide triple-play. Telmex was left behind this Decree, as back then, authorities considered harmful for competition the entrance of Telmex into TV market (broadcasting and CATV), and arguing non-compliance to telecom regulations. Even though, Telmex challenged resolutions in court. Ultimately, authorities handled the lawsuits and prevented Telmex from becoming a TV or CATV operator. This loops us back to the same dilemma under a different technological era: Should Telmex be allowed to enter TV market? If so, under which conditions? Transitory Article 9 of the Bill, provides that Telmex needs to comply with asymmetric regulation imposed by the IFT, and then apply for the universal telecom license. This could take over 2 years, considering verification of compliance and other regulatory and technical aspects. Damned if you do: Telmex has been preparing for entering the TV/CATV industry by purchasing exclusive content like past Pan American Olympics, Sochi Winter Olympics, Rio Olympics, a couple of Soccer teams (and broadcasting rights thereof), a content syndication company, has partnered Larry King in Uno TV (internet-based news) and is experimenting in streaming live events and providing VOD through Claro Video. If Telmex gets TV, it will have a fair market share, but hardly actual substantial power, as Televisa´s brand and content have traction with advertisers and audience. It seems distant a case for additional asymmetric regulation. IFT, telecom watchdog, will have a real hard time overseeing asymmetric regulation for Telmex rendering TV services, and at the same time, watch Televisa in parallel. Small and regional independent CATVs could become casualties in a price war. Damned if you don´t: TV Networks tender is a hard pitch for heavy weight investors, as you need to find companies integrated vertically into the business, with experience on producing attractive content to get advertisers. Nowadays, US broadcasters are trying to live by with advertising model, but Aero is getting into the way. Televisa, under must-offer/must-carry ruling, has to allow access competitors to its passive network. Telmex would deploy fast with current passive infrastructure and to advertise companies of its own group for fast cash-flow. Interested parties need to face Televisa, TV Azteca and the digital TV migration. Telmex is a heavy weight already here. If Telmex complies with all regulation, the Law should grant it a TV/CATV license, because rule of law must prevail. To add a time constraint to this conundrum, IFT already called for the two TV networks tenders in June 2014. Hardly, there will be a third one any time soon. Maybe EPC model could become handy this time for faith-leapers. CATV seems a good fit for Telmex, considering its vast network. CATV industry grew 16% during Q413, according to IFT. Telmex, has been acquiring billing experience from its Dish deal. Most probably, Telmex already ran some big data analytics tools on subscriber’s behaviour. Any tender or regulation are pitches to the market, but need to follow rule of law. Now telecom law is being discussed, and therefore regulation could change accordingly. 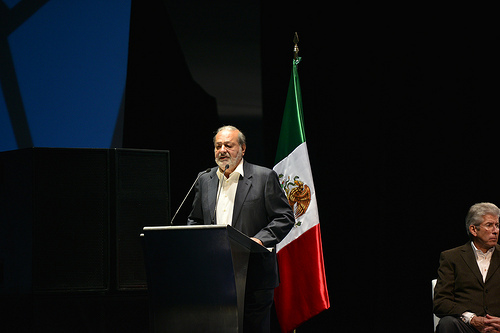 Will allowing Telmex to enter the TV market scare or attract investors? Maybe it is time for changing the dilemma: Is Mexico ready for prime-time trade-off? If so, What risks are we ready to take? What benefit are expected?